As we prepare to welcome a new season, the days are getting longer, weather is getting warmer and the sunshine is chasing what’s left of the winter blues away. Spring is in the air, and while warm weather activities that we’ve longed for are great fun, increased temperatures can also lead to a greater risk of poor air quality conditions. Walk, Bike or Take Public Transit – When weather conditions are favorable, replace car trips with walking, bicycling or using public transit to help reduce air pollution. Area residents can also take advantage of other options such as carpooling or vanpooling to reduce the number of solo commutes this spring. Fewer vehicles on the roads and highways means fewer automobile emissions, reduced traffic congestion and improved air quality. 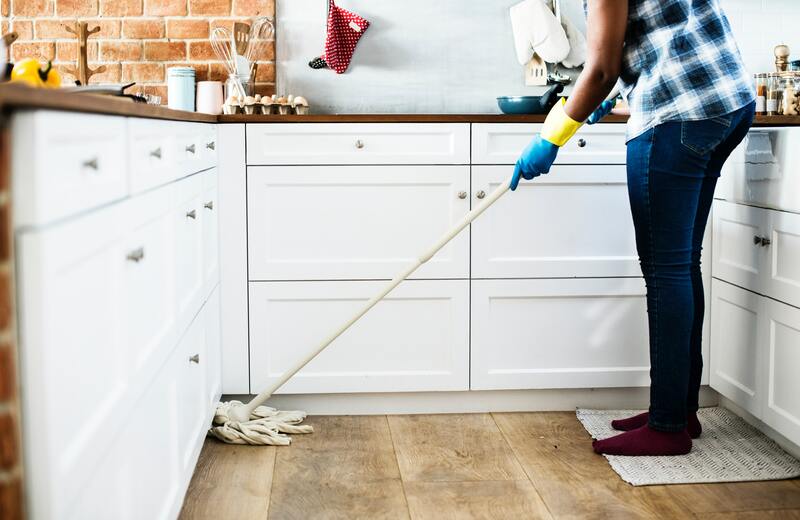 Greening Your Cleaning – By making environmentally conscious choices in the way you clean this spring, you’ll make your home (and the planet) a healthier place to live and breathe for all. Consider creating your own products by mixing a little warm water with either baking soda or white vinegar for the perfect all-purpose cleaner. You can take green cleaning one step further by opting for rags from cut up old clothes, towels, or sheets that can be washed and reused any time instead of paper towels to reduce waste and save money on paper products. Clear Out the Clutter – Spring cleaning is the perfect time to go through closets and get rid of the things you no longer need or use. Rather than dumping everything into plastic trash bags, take a few extra minutes to dispose of them responsibly and sustainably. Keep items out of overcrowded landfills by asking family and friends if they have use for any of your unwanted items or donate them to charity! Make Your Cookout a Greener Event – It wouldn’t be spring without spending time outdoors and dusting off the grill to enjoy a cookout. Charcoal grills, however, release about twice as much carbon dioxide per hour as gas grills do. You can do your share for cleaner air by using a gas barbecue grill instead of a charcoal one. Also, if you’re going with gas, invest in a high-quality, energy efficient model and make sure the gas tanks are refillable to cut back on cost and harmful waste. There’s no better time to start practicing air-quality friendly habits than with a new season upon us. By implementing some of these tips into your everyday life, you can help people all across the St. Louis region breathe easier this spring. For more great tips on how to achieve cleaner air year-round, visit http://cleanair-stlouis.com/air-quality-tips/.